Howlin' Wolf, one powerful blues singer at 6 foot 6 and 300 pounds, entertained at several "dens" on the West Side from the 1950s to the 1970s and left a lasting influence in the neighborhood. Born June 10, 1910 near West Point, Mississippi, to a mother who abandoned him in a southern world hostile to Black people, Chester A. Burnett worked hard all his life to tame his rage and turn it into music. He picked up a harmonica and studied every sound he heard in the country around him--dogs barking, chickens clucking, trains chugging and whistling. People moaning their woes to the Lord in church. Mule skinners singing as they worked around the cotton plantations. Chester could easily see that traveling musicians like Charley Patton made more money and attracted more girlfriends than the farm workers could ever hope for. Chester learned to play guitar and imitate Patton's showmanship. On the radio he heard country singers yodeling. He re-shaped these yodels into his famous howl. Chester served three years in the U.S. Army, but his mental reactions to being bossed around led to a disability discharge in 1943. In the Army he could see life could be better in other places. Five years later, as machines started putting people out of work on the plantations, Chester moved to West Memphis and formed his own band. He recorded for Sam Phillips at Sun Studio and for the Chess brothers of Chicago. In 1953 Wolf picked up and moved to the Windy City, driving his own two-toned DeSoto, Unlike his rival Muddy Waters, who was paid partly with a Cadillac by Chess Records, Wolf was an entrepreneur, proud to manage his own band. He even paid social security for his musicians. But, according to one of his sax players, Abb Locke, he was very strict about the musicians showing up on time to play. Whether in concerts overseas, or in the tiniest holes in the wall, Wolf's band would be dressed up in suits like a big swing band. Wolf made more records for Chess, including Willie Dixon tunes such as "Back Door Man" and Wolf's own "Smokestack Lightning." Because European and American promoters saw how the music moved people of all ethnic groups, Wolf and other blues men and women toured the world. 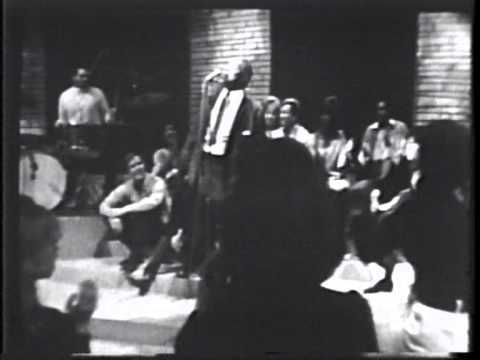 The Rolling Stones greatly admired Wolf and made sure he got the center of the stage, as you can see in the 1965 video of the TV show "Shindig." http://www.youtube.com/watch?v=gWBS0GX1s9o where he sings "How Many More Years" with Billy Preston on piano. After his kidneys were injured in an auto accident, Wolf had to go on dialysis. He kept on playing, howling and even crawling on the stage, singing songs about illness like "Goin' Down Slow," appearing in the 1815 Club (1815 W. Roosevelt Road) founded by another of his sax players, Eddie Shaw. Wolf played until two months before he died Jan. 10, 1976. Howlin' Wolf has been portrayed recently by Rick Stone at Jackie Taylor's Black Ensemble Theater on the North Side of Chicago, and on the screen by British actor Eamonn Walker in Cadillac Records. Wolf's tradition has been carried strongly on the West Side by a pack of "Little Wolves" including the late Lee Solomon; Jesse Sanders (now in Memphis), and currently Taildragger, Shakey Jake, and Larry Taylor. Eddie Shaw still tours with his own band, singing and blowing the sax.